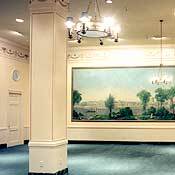 Restoration efforts were focused on the East Wing of the second floor, home to the "Period Rooms" - high-fashion salons inspired by 18th and 19th Century French decor. 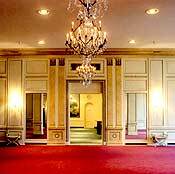 These elegant, artistic spaces, as well as the second floor Elevator Foyer, have been meticulously restored to their original 1929 splendor, and now accommodate receptions, meetings, and other events. 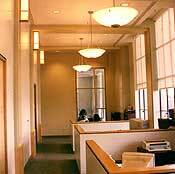 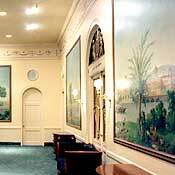 In addition, new office space was developed on the north and south corners surrounding the Period Rooms.